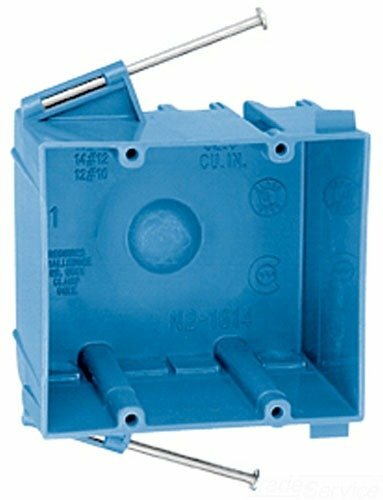 Carlon N2-1614-MNC Outlet Box, New Work, 2 Gang, 4-1/16-Inch Length by 3-5/8-Inch Width by 2-3/4-Inch Depth, Blue by Thomas & Betts at N Online Agency. MPN: N2-1614-MNC. Hurry! Limited time offer. Offer valid only while supplies last.